Where tiki torches and taxidermy meet. 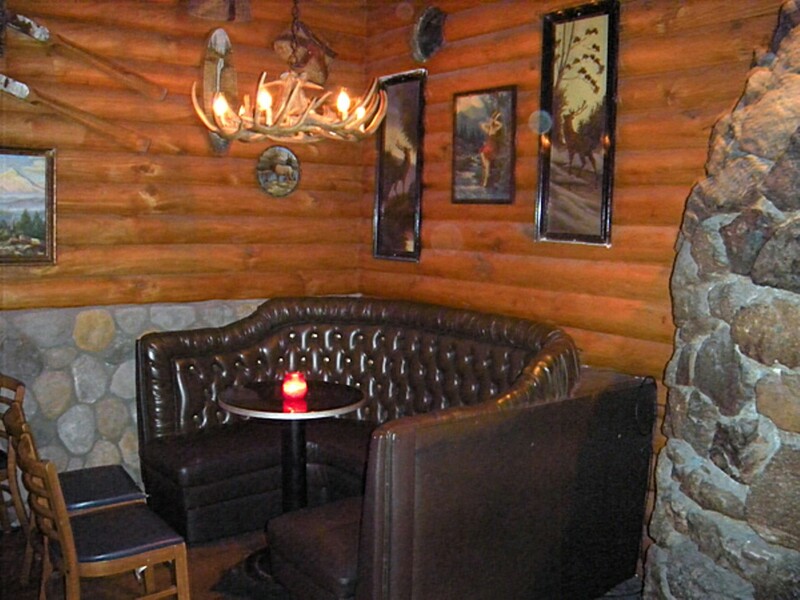 The downstairs bar is straight-up ski lodge. Hours: Mon.-Fri. 2 p.m.-2 a.m. and Sat.-Sun. noon-2 a.m. The first thing you always hear about Club Mallard is the heated toilet seats. Which bears repeating: Heated toilet seats! In at least two bathrooms! This universe, she is magic. Also worth noting, however: four pool tables, two full bars, three wall-size murals, two (smoker-friendly) outdoor patios replete with massive tiki torches, two fireplaces, seating for probably a hundred people, several stuffed and mounted deer heads, a TV, a fully-stocked bookshelf, a 24-themed pinball machine, a jukebox, at least five pieces of duck-related art. The Mallard contains multitudes. 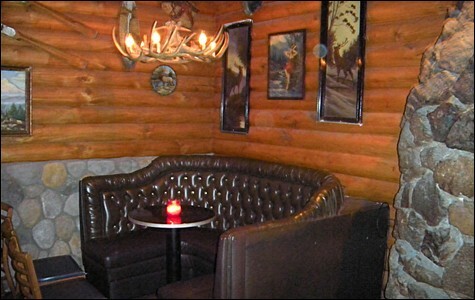 Enter through the downstairs and you get a straight-up ski lodge: taxidermied deer heads (surely installed long before such things were cool); candle-lit little tables; huge, comfy, real-leather chairs; a big, functional fireplace; woodsy accents; a pair of real skis mounted on the wall; one of the aforementioned murals, this one featuring a lake full of ducks frolicking bucolically. But outside, it's all tikified splendor, with four-foot-tall fiery torches and believably thatched walls. Back inside and up the stairs, it's a frat house or a rec room — big windows with sweeping views of scenic San Pablo Avenue and two pool table setups, both with those beer-branded and pyramidal light fixture things that were apparently invented for the sole purpose of hanging above billiards tables. Keep walking and there's couches and chairs somehow even bigger and comfier than the ones downstairs; another room with a pool table, an unaccountably adorable little one-table nook tailor-made for a first date; and then, finally, another patio, also outfitted with every tiki design accoutrement you could think of, including totem poles, blowfish-shaped lights, and yet more thatching. (The Mallard is owned by the same people that run Berkeley's Thalassa and Piedmont Avenue's Kona Club, so they clearly have an aesthetic point of view going on.) All together, it's a setup that could very well be whiplash-inducing, or schizophrenic, or, at the very least, attract an odd and ill-at-ease mix of people, but somehow, it works. Folks move freely between the ski lodge and the island hut, and drinks, wisely, tend toward the simple, strong, and universally pleasing (this week's special: the stiletto, which is amaretto, bourbon, and lemon juice, $7 — great drink, terrible name). Pool dudes flirt unapologetically with bespectacled grad students who came to curl up near the fireplace and read a book; big groups of guys talk girl problems and the latest horror-movie release over rum and cokes and Marlboro reds while a gray-haired couple murmurs quietly a table away. The blowfish mingle with the ducks as though in some kind of extra-magical, biologically impossible, underwater melting pot. The Mallard — named for a breed of duck described aptly/hilariously by Wikipedia as "gregarious" — has been an Albany institution since 1945, which goes far in explaining both its sense of rootedness and its marked unpretentiousness. After all, despite a startling concentration of bars for a city scarcely bigger than a single square mile, Albany has never been a scene, nor has it ever really tried. Same goes for the Mallard: Though the place can certainly feel buzzy and warm on a Friday or Saturday night, it's a warm buzziness of the distinctly locals-oriented variety, the kind you can only find at wonderful places in (relatively) sleepy towns. If the Mallard were in Oakland or near campus or even farther down San Pablo in West Berkeley, it'd be overrun and considerably less homey-feeling, which is to say the slightly odd location is a blessing, one that's well worth a long bus ride or sacrificial sober lamb. The bathrooms are just the beginning.